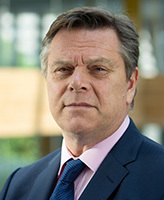 Simon co-founded the firm in 1994 and is the Executive Chairman. He was responsible for the creation of the infrastructure risk assessments having specialised in capital market infrastructure risk management for 18 years. 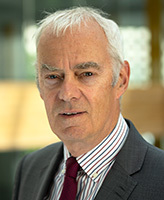 He led the working group that created the CSD risk assessments, co-ordinated the custody bank assessment methodology development with a major external credit rating agency and developed the CSD and CMIRR risk assessment methodologies. 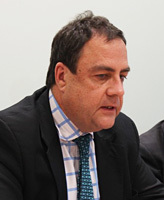 He has directed and led the early public custody bank and CSD risk assessment engagements. He retains close relationships with many major financial institutions and capital market infrastructures around the world. He started his career with Coopers & Lybrand as a chartered accountant, and spent four years with S.G. Warburg before spending five years with KPMG Management Consultants managing the securities and investment consultancy business. 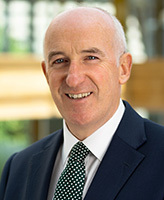 Prior to co-founding Thomas Murray he spent three years as an Executive Director of Davis International Banking Consultants, specialising in strategic bank consulting and primary research into the banking industry. Ross has extensive experience in the Asset Servicing industry having worked with BNY Mellon, Morgan Stanley and Standard Chartered Bank in their custody, securities finance, prime brokerage and index business. He worked previously with Thomas Murray for 13 years, principally developing the Custodian Selection and Monitoring activity globally. Prior to re-joining Thomas Murray in April 2018, Ross worked for BNY Mellon in their Markets business and was responsible for regulatory matters in Europe and spent much of his time with regulators across the EU. Espen Hennig-Olsen was born and raised in Norway. He has worked all his professional life in marketing, starting with studying for a marketing degree and later working as a director in the family business and subsequently as the owner of an airline and an art gallery. He has vast experiences in the field of marketing and in implementing company strategies and guidelines and Corporate Identity programs, working with designers and consultants to create new artwork such as logos and other integrated design elements. He has also extensive experiences in business management and business structure development.He has been a board member in all his previous positions. 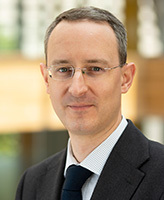 Tim joined Thomas Murray in January 2001 conducting research and risk analysis into the European securities markets. This developed into an Overseas Advisory service for capital markets where Tim helps countries modernise their infrastructures such as in Indonesia, Saudi Arabia, Dubai, Qatar, Russia, Ukraine and South Africa. 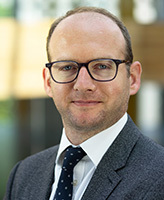 He developed Thomas Murray’s CCP Risk Assessment programme and provides specialist input on derivatives for many of Thomas Murray’s engagements. Tim also works on the larger RFP mandates helping institutional investors select global custody providers, derivative clearers and trade repository solutions. Much of his current work is driven by the mandatory requirements of EMIR and Dodd Frank for both institutional investors subject to mandatory clearing and third country CCPs who are seeking ESMA recognition. The depository bank obligations under AIFMD and UCITS V are also part of his portfolio, with focus on the impact of CSDR and T2S on the CSD industry as well. Previously, Tim worked for Capco and KPMG as a consultant, Salomon Brothers as Head of Derivative Operations in London and at LIFFE where he was Head of Compliance. Tim is regular speaker at conferences. He has degrees in Natural Sciences from Cambridge and Philosophy from London, as well as being a qualified accountant. Andrew oversees strategy for the company’s IT and software development functions, including setting the direction for the development of its application platforms to meet future internal and market demands. He also explores opportunities for the company to form partnerships and establish new ventures, and serves as the company’s Data Protection Officer. Andrew joined Thomas Murray in 2002, having previously worked in audit for PricewaterhouseCoopers and as a management consultant and business systems analyst. His previous roles in the firm include guiding the design and build of Thomas Murray’s key applications to meet clients’ needs, leading primary research into financial markets, and developing analytical services to help institutional clients with their regulatory and commercial needs. 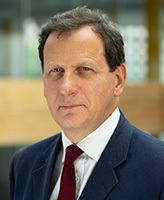 Jim Micklethwaite joined Thomas Murray in 1996. He directs the Capital Markets group which is responsible for the collection and validation of data, issuing risk assessments and monitoring all Thomas Murray's products. He directs a team of 18 analysts that track market practice in over 100 markets; assess risks in over 85 market infrastructures; 140 CSDs, 260 agent bank assessments and 30 CCPs worldwide. Jim is a subject matter expert on central depositories, and has led various public rating projects for CSDs and more recently major capital market infrastructure CPSS/IOSCO and CSD benchmarking studies. Previously, Jim was a senior analyst within Thomas Murray evaluating and selecting local and global custodians for clients. Prior to joining Thomas Murray he was at Taylor Nelson AGB as Senior Researcher in their financial division. Ana Giraldo joined Thomas Murray in 2002 and is the Chief Risk Officer and Director, Americas. 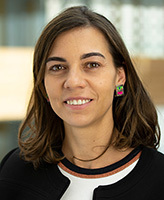 Ana is responsible for the ongoing development of TM’s risk products and methodologies across the firm, as well as maintaining the company’s enterprise risk management framework. Ana has held a number of increasingly senior positions at Thomas Murray and has led a number of public ratings and consultancy projects. Ana is a specialist in the Americas securities markets including trading, clearing and settlement practices. Her role includes maintaining relationships with regulators, clearing houses, central securities depositories, custodian banks and other market players in the different markets of this region. Ana chairs the company's Risk Committee. Ana previously worked at Fitch and the Colombia Stock Exchange. David joined Thomas Murray in late 1999 and is currently responsible for global client relationship management. He represents the clients’ interests with Thomas Murray and ensures that products and services meet client expectations. Prior to assuming this role he directed the agent bank monitoring activity including both cash correspondents and custody service providers. Based in London, he continues to travel extensively on behalf of the Company’s clients, visiting banks and local market infrastructure organisations. 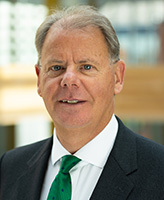 Prior to joining Thomas Murray, David spent various roles in custody operations at SG Warburg and later RBS Trust Bank where he managed the agent bank network realising major savings in operational fees and consolidating agent bank relationships, and at Royal Bank of Scotland where he was involved in the Euro Conversion Project amongst other operational projects. Derek has been with Thomas Murray since it was established in 1994. He is responsible for sales and marketing of the firm’s risk assessments, data and technology products and its monitoring services. He led the development of the firm’s data products and more recently has co-ordinated working groups that defined the recent transfer agency and prime broker risk assessments. He manages a small team of salesmen responsible for selling into custodians, depositaries, banks and other groups. Prior to joining Thomas Murray, Derek was head of Euromoney's Global Research business where he managed major industry syndicated studies and authored numerous research reports in the legal and financial services area, having previously held positions at IFR/Thompson Reuters. Albert joined Thomas Murray in 2005. He focuses on the delivery and enhancement of our technology platforms to maintain an effective operational environment for both Thomas Murray and our clients. This involves managing the delivery of Thomas Murray's information and web-based technology in White Labelled form to numerous broker/dealers, investment banks, custodians and other financial groups globally. 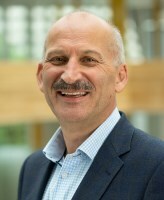 Prior to joining Thomas Murray, Albert has worked in a variety of industries and countries with experience in managing the complete lifecycle of project delivery for hosted analytical services, applications covering financial modelling, fees analysis, operational workflow, tendering, information gathering and distribution. Stephen Merry joined Thomas Murray in 2002. He was a Consultant and then Managing Consultant in the company's Advisory Services division which evaluated service providers to institutional investors, including but not limited to custodians, fund administrators, depositories, and derivative clearing brokers. 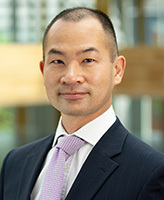 He now serves as the Director of Thomas Murray's Advisory and Analytics team. Along with the evaluation and selection of service providers, this team manages all complex and bespoke consulting projects for institutional investors market infrastructures and bank clients globally. Luis Carlos joined Thomas Murray in 2009. He is the director of Analytics and is responsible for the Post-Trade Risk Analytics (PTRA) product, which provides a comprehensive view of post-trade risk tailored to the profile of a fund or client. He has also led regulation-driven initiatives in the area of capital markets. Luis Carlos has wide experience conducting public assessments of CSDs across developed and emerging markets. In addition, he has been heavily involved in CSD service benchmarks and advising on financial modelling for financial market infrastructures. 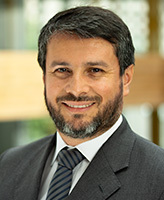 Prior to joining Thomas Murray, Luis Carlos worked as an economist in various economic consulting firms in London and was an econometrician in a British government agency and the Colombian public sector. He holds degrees in Economics and Political Science from universities in the UK and Colombia. 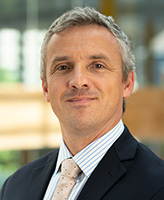 Llew joined the firm in 1994. He is responsible for the set up and distribution of Thomas Murray's TA products to clients. Llew focuses on managing client requirements, supporting the delivery and enhancement of Thomas Murray’s technology to the numerous broker/dealers, investment banks, custodians and other financial groups. He has an in-depth knowledge of Thomas Murray's history and clients, and previously managed the development of many of Thomas Murray's early software, technology and web platforms.